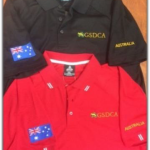 Look flash in a GSDCA Polo Shirt ! 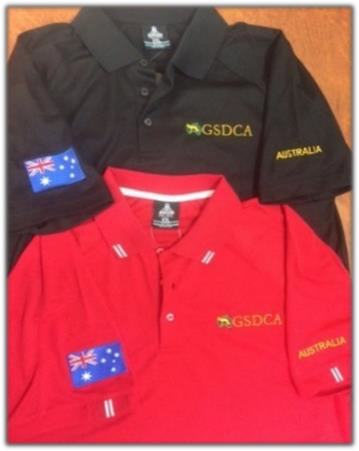 At the 2016 GSDCA National Show and Trial a GSDCA Polo shirt was unveiled and worn by the members of Executive and some general Club members for all to see. These come in a great range of colours and are now available for general sale using the order form with payment required up front of $38 plus postage $10. For two or more shirts a quote for postage will need to be obtained. Where possible, to avoid postage costs, we may be able to arrange delivery using people travelling to your State from time to time. The order form is available here. The shirts are of very good quality and are all embroided with the logo, flag and country. We hope that the shirts will give us a national identity, especially if travelling overseas.